Watching the news and realizing the problems with getting relief organized to help individuals in natural disaster situations, Annika and Greger, the founders of Green Business Team, felt that something had to be done differently. Resources were not being used efficiently, more pollution and waste was created and still children were dying from diseases cause by poor drinking water quality. Annika and Greger realized that they had found their call. They felt an urge to help individuals, communities and organizations in bringing safe drinking water to the people. After extensive research, the hard work began with developing models and systems that would solve the problem in a safe and reliable way, whilst being economical and very easy to use for individuals in emergency situations. Green Business Team offers a range of solutions and we are looking forward to cooperating with governments, partners and different organizations in order to implement sustainable water processing systems around the globe. Green Business Team implements sustainable processes for water purification and sanitation that help diminish global health issues and social injustices. The Green Business Team educates individuals and organizations how to make sustainable choices for their communities. 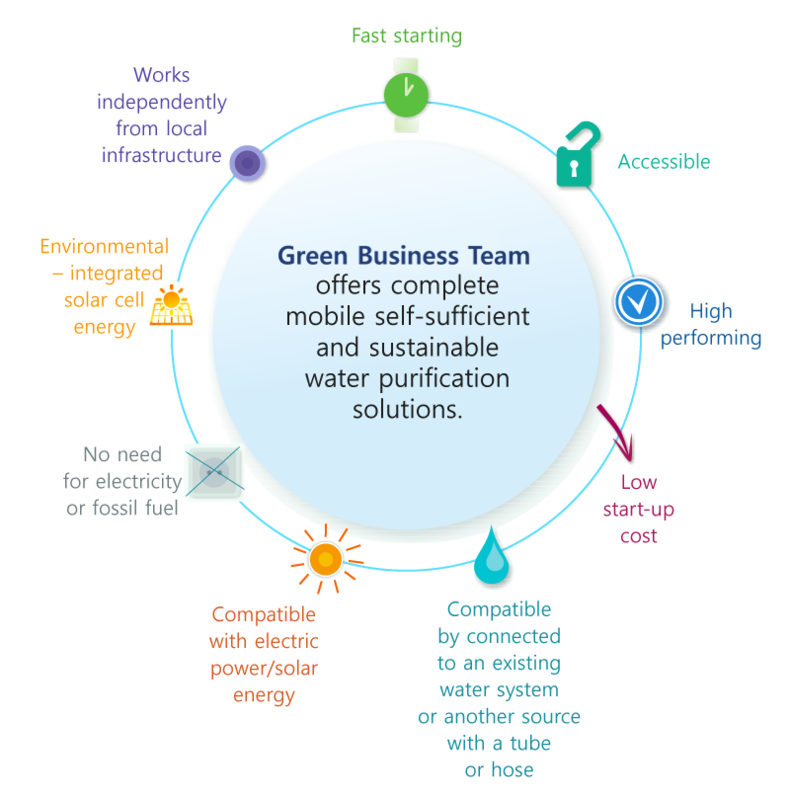 Green Business Team strives to be leading the global market in development, production and sales for sustainable water purification systems. Register for our newsletter to find out more and contact us if you want more information about our solutions in relation to your conditions or requirements.